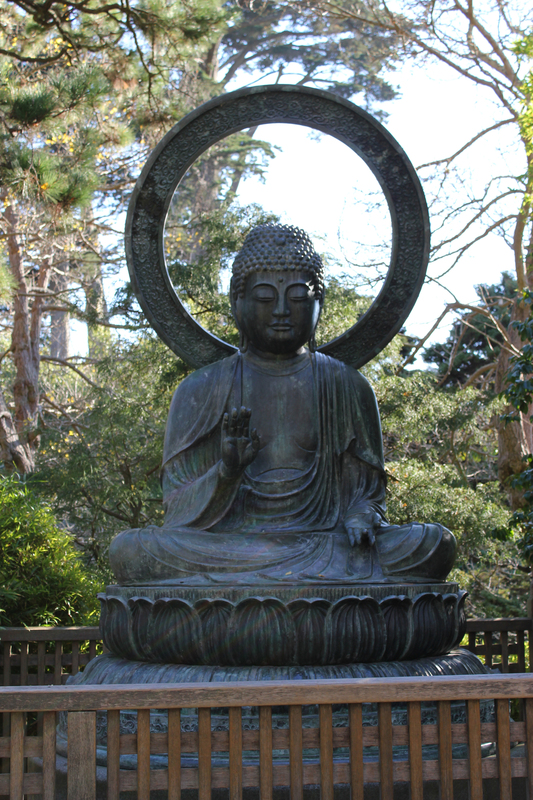 The Japanese Tea Garden in Golden Gate Park was originally built as apart of the California Midwinter International Exposition in 1894. It is a beautiful place to go for quiet contemplation. I love how slightly interactive it is. Everything is not locked away behind glass, but instead quiet open for people to interact with. There is a really cool looking bridge that I attempted to use and I failed miserably. This place gave me the one thing that I was looking for on this trip. Peace. Standing in front of the bronzed Buddha, I found a sense of overwhelming peace. And in that moment I was grateful for my life and could accept the things that I could not change no matter how hard I tried. It was a great feeling and I hope to take it with me for the rest of my life.